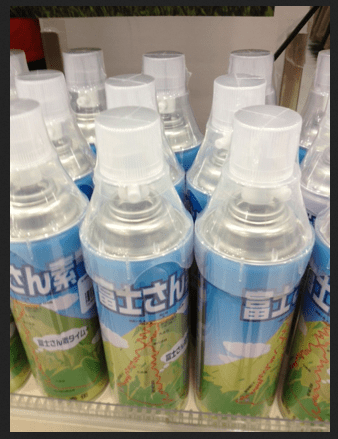 I believe these are cans of oxygen to get you to the last steps of the climb up Mt. Fuji. Sometimes you need a little help as you take it to the edge. Make positive reaches. In order to have something, you actually need to leave it. In order to remember something, you need to take it to the point of almost forgetting. In order to listen to the music, you need to have silence. Yep, I guess I ended up sounding Zen-ish. But it’s seriously something that has been going through my mind lately. In order to have something, sometimes the best thing to do is to leave it or at least have it almost beyond your reach. But is really important to remember to forget. I make it a point to stop studying cards when they start to repeat. If a card starts to repeat too soon, you are drilling to kill. You are fracking your mind. I prefer to wait, look around, have some fun and come back to the card when it is more of a “reach” instead of a mindless repetition. Daniel Coyle, author the talent code, and many other writers speak about the effects of positive reaches. You want to consistently go towards facts, skills, ideas that are just beyond your reach. I also think in terms of emptying. To get full, you need to empty. If you want to soak up water with a sponge, you need to squeeze it out. If you want to hear music better, you need to have silence. 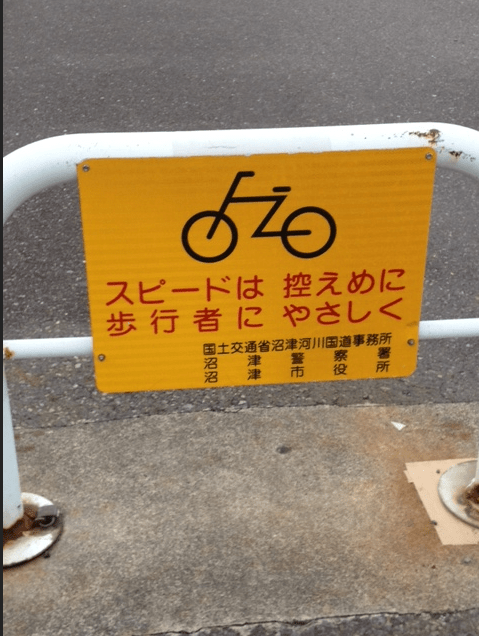 Sign for cyclists on the beach. Slow down. I think to speed up, you need to be strategic about having opportunities to slow down. Forget to remember. I’ve incorporated this into my morning exercises in Numazu. I walk out with my iPod, listening to a podcast or Japanese music. I am staying in an area called 千本浜, and I fast-walk in a shady area filled with thousands of pine trees. I tack my way back through the beach (don’t get too inspired–it’s concrete lined beach 🙂 ) and stop at a rocky point and do Chinese exercises called Nei Kung. I used to listen to music, but I was starting to get annoyed and decided to turn off the music and just listen to the sound of the waves. Or not. I think that silence is important. It’s another way of taking things to the edge by emptying out. I don’t think there should be any rules or techniques about how you do this, but I think it is important to be cognizant of when music, words, and information start to be noise. Take it to the edge. Empty out to fill up. Forget to remember. The tracking of my mind– how true, in not a good way. Thank you for this insight on an early Sunday in Kentucky.